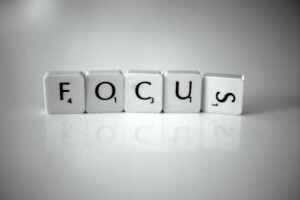 Sometimes I feel like the ‘S’ in this picture: striving to be focussed but not quite there. Working, living, writing: how it all hangs together. Today, I want to talk a little bit about how the focus of my life has shifted over the years, particularly with relation to writing. You may be familiar with the phrase ‘work-life balance’, but it took me a long time to really figure out what that meant; specifically, what it meant to me. I’m naturally a hard worker. If I’m given something to work on, I’ll pick it up, run with it, fix it, and give back what I was asked to produce, with whatever improvements made sense at the time. So when I’m performing my job, I instinctively throw myself into it completely. I care. I worry. I try to fix everything and achieve the goal is set before me, whatever it is and whatever it takes. I want to do a good job, and I put all of my energy and attention into it. When your job is what you want to do with your life, this is a good state to be in. But when it’s not, then things get complicated, and sometimes difficult. Happiness is an elusive fish to catch. After I graduated from uni, my focus was all about finding a job so I could support myself, hopefully in a career that could see me through for a while. I wasn’t sure what that career should be (for some reason, I couldn’t find any job adverts for ‘novelist’, which was what I really wanted to do, so I had to look for alternatives), and it took several years for me to find my way to technical writing. But I threw myself into every job I got, because that’s what I do. When I started that search for a job path, fresh out of a creative writing degree, I was also burned out with my own writing. Between that, my natural inclination towards getting stuck into a job, and the need to sort my life out, I wound up taking something of a break from writing (I fell into online RP as a stop-gap, but that’s a story for another time). The problem with that break from writing was that I didn’t realise that I was on a break. It wasn’t a conscious decision; I was busy with everything else that was going on and the creative side fell by the wayside. I was writing a little (RP stuff, other minor little bits), and it wasn’t until I stopped to think about it that it hit me: I hadn’t worked on a novel for a long time. Years. And when you’re working full-time and snatching whatever scraps of time you can with your friends online, there aren’t many opportunities to stop and reflect on the big picture of your life, let alone make big changes. I found myself getting frustrated. My dream of seeing my name on someone else’s bookshelf still niggled at me but I wasn’t getting any closer to it, mostly because I wasn’t really trying. I was so busy working and scraping by with everything else in my life that there wasn’t room in my schedule, energy reserves, or mental capacity to really try to do it. By this point, I had been diagnosed with CFS and was struggling to manage even the essentials to get by. There just wasn’t time or space to pause, catch my breath, and figure it all out (where’s a TARDIS when you need one?). I didn’t really get the chance to reassess the shape of my life until I moved to Australia. It’s not so much the country itself; more, it was the disconnect from my previous life. I left behind my job, my friends, and a timezone that made online RP easy. I had to start over. It turns out that that was exactly what I needed (hindsight is a wonderful thing). I think I had been trying to do both for a long time, and that caused me many problems. Trying to be equally invested in my work and my life outside work is hard. The two things interfere with each other; my mental energy was split between the two and I struggled to keep both afloat. When push came to shove, I put my job first, even though the job wasn’t what I really enjoyed. I was obligated; it was what I ‘should’ be doing. It wasn’t a recipe for a rewarding life. Once I could see it, I knew that I had to make a choice. It’s a question of focus and priorities. Everyone has to work to get by (well, most of us do), but which was most important to me? Where should my energy be? I was literally setting myself up in a new place and a new life, and it was the perfect time to reflect, redirect, and refocus myself. At heart, I am a writer. I like my work as a technical writer (and I’m dedicated when I’m at work), but fiction is where my love is. Stories are what make my days bright. So when it comes to making that choice between working to live or living to work, I do the former. I work (hard) to have what I need so I can have the things that are really important to me: my family, my friends, and my writing. Work is a means, not the end; living with the loves in my life is my goal. This was an important realisation for me. It meant that I looked hard at my life and the things I was doing with my time. It meant that I made a lot of changes, most of them within myself. My day-job became a tool and I started to fight to make time for writing my own stuff again. The change in the relative importance of my work has been the hardest part of this for me. It’s not a switch you can flip. Sometimes, I have to remind myself that it’s the stuff that happens outside of work that matters most to me. It has taken a long time for me to adjust my attitude towards my job – if you were reading this blog last year, you will have seen how stressed my day-job made me – and it’s still a work in progress. I’m getting there slowly, and finding a healthier place to live where I’m not torn apart by competing concerns. The process of disconnecting emotionally from my job has been good for me in many ways, including my health and (ironically) my job performance. My days are no longer a constant battle. I don’t let work issues drag down my mood so much any more. I’m more positive in general; the process of refocussing my energies has opened up benefits all over. My job is still important to me. In order to do all those things that matter most to me – writing and taking care of my family – I need to eat and pay bills, which means I have to work. And that’s okay! It’s all about keeping it in perspective. When it comes to those times when I’m struggling to do everything, when something has to give, I have different criteria to help me decide what I should do. I can’t afford to sacrifice my job, but how I fit it into the rest of my life does alter. For example, taking time off to do something that’s good for me is a tactic I can use (and have done!). I posted recently about how much I’m struggling at the moment to do the writing I want to do. It used to be that when my health was pulling me down, it was my hobbies that suffered; as long as I could work, I was okay. That’s not good enough any more. 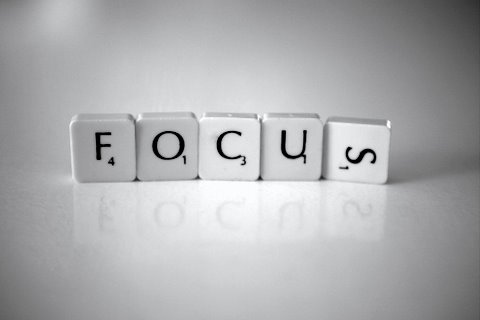 Writing may be a hobby, but it’s important enough that I have to look for an answer other than sacrificing it. I’m frustrated because it’s important to me and I know how unhappy I’ll be if I can’t do it any more. So I look for options. I look at everything and line it all up to see what I can sacrifice. Priorities are important. So those things that I listed in my plan for this year? Pared back. That Kickstarter campaign that I am in the middle of building? On hold. The re-release of Apocalypse Blog ebooks? Put to the bottom of my list of things to do. Weekend activities and outings? Reduced to a bare minimum so I can rest. I’m still working full-time. I still intend to write Starwalker as often and as well as I can. I am trying a couple of things to resolve my energy issues. The other stuff will catch up when I’m doing better. I work to live, and I live to write. I’m sorry that it took me so long to figure this out, but now that I have, there’s no looking back. I just looked it up and it turns out it’s a quotation of John Lennon. So very true. 🙂 It’s so easy to get swept away and then wonder why you haven’t got to where you want to be. I’m so grateful that I stepped back and reassessed my life. Perspective is a wonderful thing.